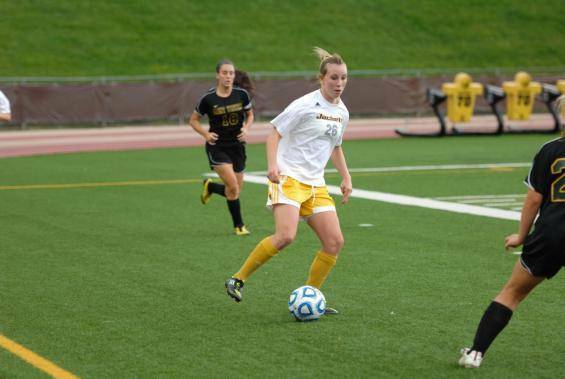 2016 Baldwin Wallace University Elite Women’s Soccer Academy is camp for players aged 4-14. This camp is an affordable option to challenge players in a fun learning environment. In this camp players will enhance technical application of dribbling, passing, receiving and striking the ball. Improve the players ability and critical thinking on the ball, illustrate to players their roles for any position and how to play within a team structure. Camp will take place in George Finnie Stadium on the campus of BW. 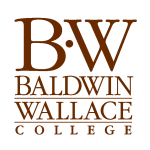 Baldwin Wallace University is a private, liberal arts-based, Methodist-affiliated college located in Berea, Ohio, offering bachelor’s and master’s degrees, certificates and professional education programs. BW is accredited by the Higher Learning Commission, a commission of the North Central Association of Colleges and Schools. Individual programs also are accredited by the National Association of Schools of Music (NASM), National Council for Accreditation of Teacher Education (NCATE), the Commission of Athletic Training Education (CAATE) and the United Methodist Church Board of Accreditation. Reid Ayers and his outstanding coaching staff have worked hard to develop the Baldwin Wallace University women’s soccer program into one of the best in the prestigious Ohio Athletic Conference with a long-term goal of leading the Yellow Jackets to the NCAA Division III National title. Ayers holds his National ‘A’ and National Youth Licenses from the United States Soccer Federation. He currently is a member of the U.S. Soccer coaching staff where he assists in selecting players for inclusion into the country’s youth national teams highlighted with an appointment at the prestigious U14 National Identification Camp four of the last five years. Ayers also is an Age Group Head Coach for the Region II Olympic Development Staff, where he assesses and trains the elite players from 13 different states preparing them for domestic and international competition. Also, he is a member of the Ohio Youth Soccer Association North State Coaching Staff, where he is an age group coach in the Olympic Development Program, a state coaching license instructor and directs a state sponsored Center of Excellence. In 2002, Ayers completed his Masters of Arts degree from Kent State University in Sport and Recreation Management. A 1988 graduate of Hiram College, he was team captain his junior and senior seasons and earned Most Valuable Player honors as a senior. A three-time All-Presidents Conference performer, Ayers is amongst the Hiram College all-time leaders in career and season assists. He holds the distinction of starting every game in his college career. Ayers and his wife, Lisa, reside in Canton. 2016 Baldwin Wallace University Elite Women's Soccer Academy is camp for players aged 4-14. This camp is an affordable option to challenge players in a fun learning environment.